Cheerful images offer word/sound cues to delight early learners. 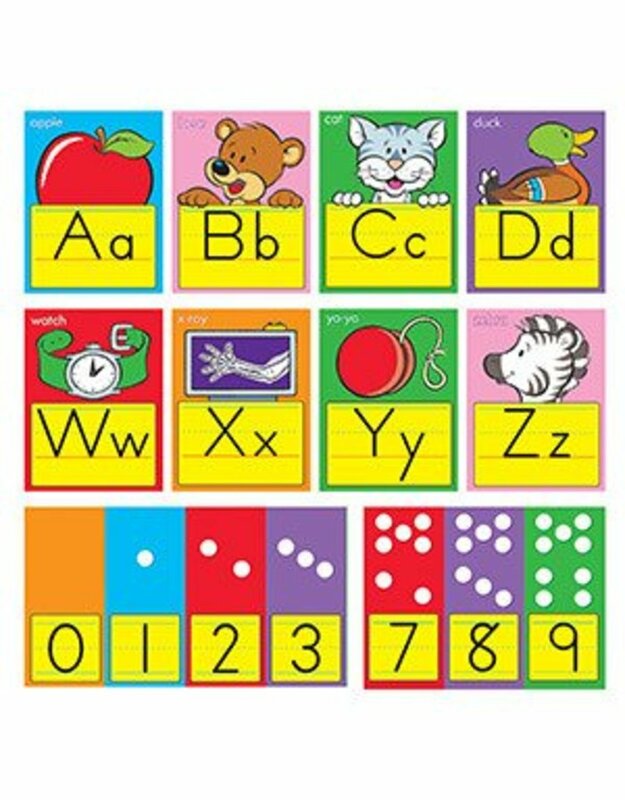 Includes 26 alphabet cards, 6½" x 8½" each, and numbers 0-9 with counting dots on 2 strips. Complete set 17'. 28 pieces. Includes a Discovery Guide with creative activities that teach and delight!